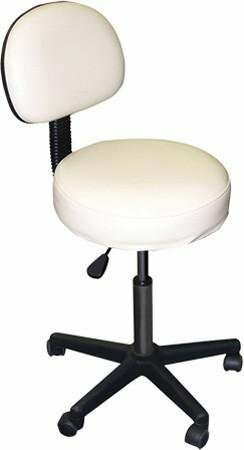 The solutions swivel stool features a 300 lbs lifting capacity distributed, 4" Deluxe foam cushion, 17"-23" Height adjustment, 30"-35" back adjustment, and five star base with heavy-duty casters. Chrome base. Weight: 5 lbs. If you have any questions about this product by Custom Craftworks, contact us by completing and submitting the form below. If you are looking for a specif part number, please include it with your message. CHAIR DEPOTS Atlantic Aluminum Swivel Counter Stool, Brushed Aluminum finish.